Informal talks to establish a consortium of ad tech companies that would help establish an ‘industry standard’ way of measuring legitimate web traffic are understood to be taking place, as ‘click fraud’ continues to dog some of the industry’s biggest names. Issues surrounding web traffic not generated by human beings – or ‘bot traffic’ – are generally deemed to be endemic in the adtech sector, with a recent report published by web security firm Incapsula indicating that as much as 61.5% of all web traffic is not generated by humans. This figure represented an increase of 21% from the year beforehand and such reports pose major reputational damage for the online advertising industry, with programmatic companies particularly in the line of fire when it comes to nefarious activity. ExchangeWire understands leading names from the programmatic advertising industry are currently mulling a potential consortium to help combat the problem. ExchangeWire was unable to verify the names of some of the companies said to be involved in such talks by time of publication – hence the decision not to publish them – plus it remains unclear how advanced the discussions are. But this site does understand the general purpose of such an endeavour would be to implement a universal method of identifying if an ad impression is generated by a human or merely ‘bot traffic’. This could include establishing an ‘Open ID’, or way of identifying a device, by verifying its authenticity against a common set of data protocols. Such a breakthrough would undoubtedly improve the reputation of the programmatic advertising sector as a whole, and subsequently increase adspend via such channels, but it appears there are some hurdles still to clear. Currently, there are a number of methods of identifying ‘bot traffic’ – such as identifying numerous impressions generated by the same IP address – and Google also attempts to filter out “invalid clicks” from its analytics for CPC campaigns. Plus the IAB in the USA is attempting to lead best practice with this problem, with the establishment of the Traffic of Good Intention (TOGI) Task Force, with the goad of promoting awareness of the issues. It is understood that no European-based equivalent is in place within the IAB-fold. Companies representing every tier of the online ad tech sector are represented in the working group – an exhaustive list of TOGI members can be seen here. A statement on the TOGI micro-site reads: “The task force’s mission is to identify, understand and raise awareness of the issue of non-intentional traffic (NIT) and to offer insight and recommended solutions to the digital advertising industry… There are two primary types of NIT. In one, users are automatically redirected to particular websites after closing another website. 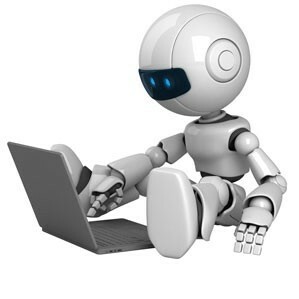 The trade body goes on to note how the ability of “botnets”, software written to artificially produce massive click volumes, makes them a particular problem for online ad exchanges. To better understand the scale of how much ‘bot traffic’ affects the programmatic media-trading sector, ExchangeWire consulted a number of sources familiar with methods of combating the ‘bot traffic’. Integral Ad Science, a company that helps advertisers evaluate their online media buys, and recently raised $30m in series D funding, through its Suspicious Activity Detection service, claims 22% of bid requests made through DSPs were for inventory on sites exhibiting suspicious activity in ithe first half of 2013. Its most recent semiannual report reads: “As with Q3 and Q4 of 2012, Exchanges had the highest percentage of impressions on suspicious sites, while directly placed ads showed the lowest risk, with only 2% of impressions on suspicious sites. SAD scores fall on a 0-1000 scale, with 1000 indicating the least suspicious media. Nial Hogan, Integral Ad Science’s UK MD, says: “A few years ago brand safety was the hot topic, and last year one of the big topics was [ad] viewability. But in 2014 media fraud [committed using ‘bot traffic’] will be the hot topic. James Collier, UK MD of Experian-owned AdTruth, a company that helps verify the authenticity of an impression, especially on mobile, also claims the issue of online ad fraud and media exchanges are inextricably linked.